Bruce Carter, owner of the Tallgrass Art Gallery at 521 Kihekah Ave. spoke to the Kiwanis Club recently about his new gallery, the path he travelled to become an artist and what led him to choose Pawhuska. Despite his plans to become a welder, Carter decided to take a six-month detour to take silversmithing classes at Northern Oklahoma College. “At that point welding looked real big and silversmithing looked real small,” he said. Nonetheless, Carter decided to pursue silversmithing as an art form. “I’m a self-taught artist. In the art world that’s called someone from outside the academic background. 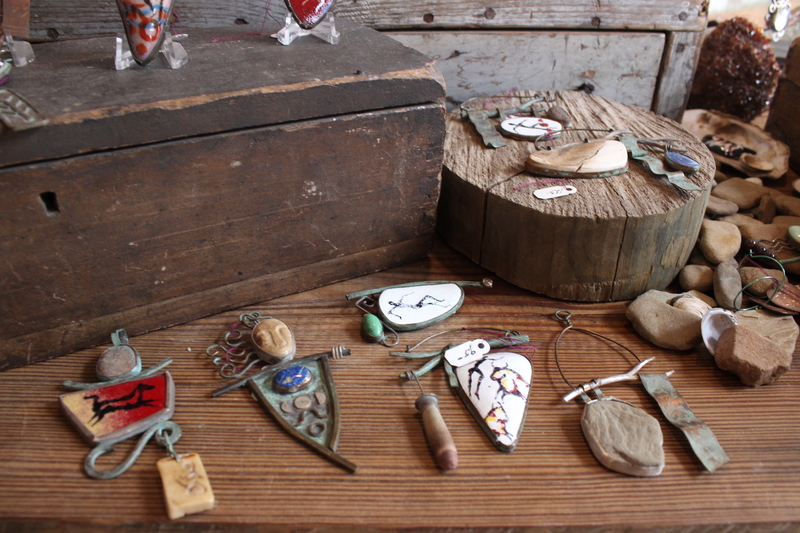 I am a traditional silversmith, which means I use no mechanical tools. I do everything by hand. I’m also a traditional engraver, which means I carve all of the old cowboy patterns and things you see on work before early 1900. “I wanted to get back into the arts. I have always loved Pawhuska. I’ve driven through here. I’ve stopped here, I have visited Pawhuska. I was at a point in my life when I decided, I want to do what I really want to do and do it someplace that I really want to do it at. Hence, my move to Pawhuska,” Carter said. Initially, he was just looking for a ten by ten space in which to do his silver work. 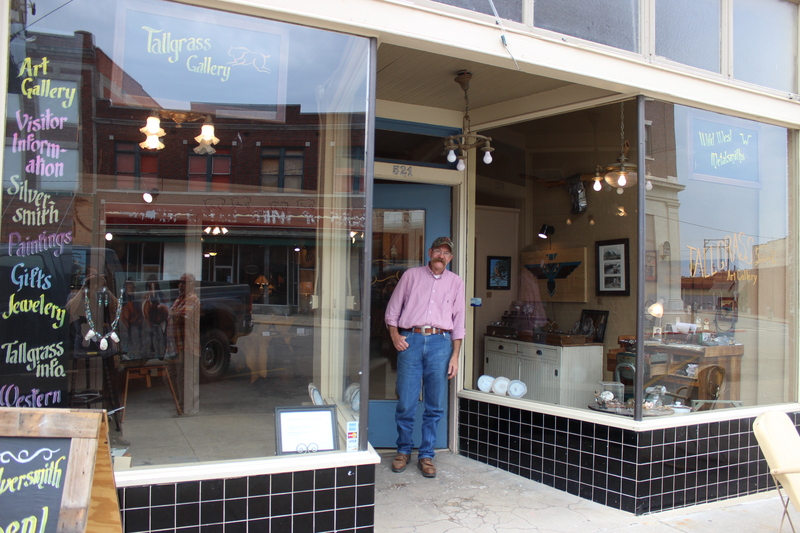 “The gallery kind of took shape after talking to lots of people in town…There’s a big push in Pawhuska to make it a center for the arts, to encourage the arts, to encourage artists, to encourage galleries. We don’t sit on a major highway. We’re not a great place for industry … but we’re a great tourism destination. The number one reason people come to a destination is shopping, number two is history. Pawhuska has history. Once he decided to move forward, he obtained building space at 521 Kihekah Ave. in Pawhuska, next door to Osage Outfitters and across the street from Ree Drummond’s building at the corner of Main St. and Kihekah. “Three weeks later, [in July] we opened with 11 nationally known artists. That’s unheard of. “Artists in this area were ready for a gallery. They believed in Pawhuska … and they were ready to come in and make that work. They also share my vision. Of the 14 artists now represented in the gallery, Carter said that two of them have given exclusive rights to their artwork to be sold in the gallery in Oklahoma. “That’s huge for Pawhuska,” Carter said. It means if you want to buy a Burneta Venosdel, you have to buy it here. 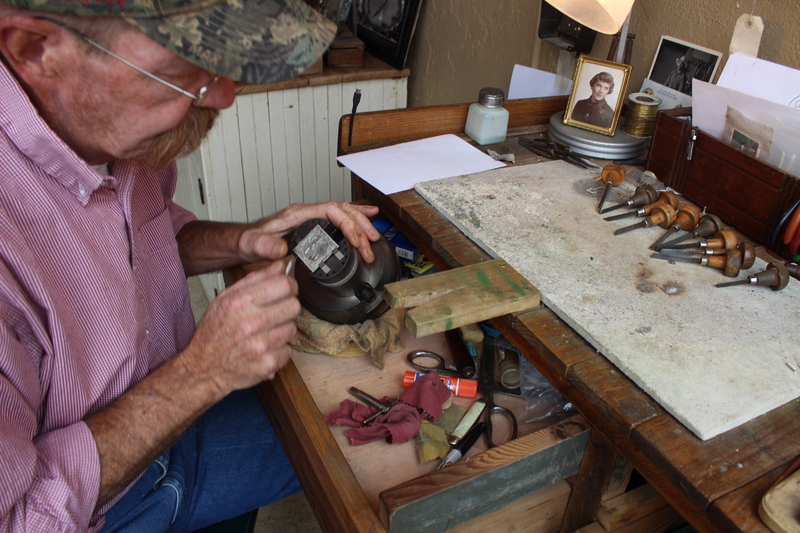 Burneta is a sculptor from Tahlequah has won several national awards, Carter added. 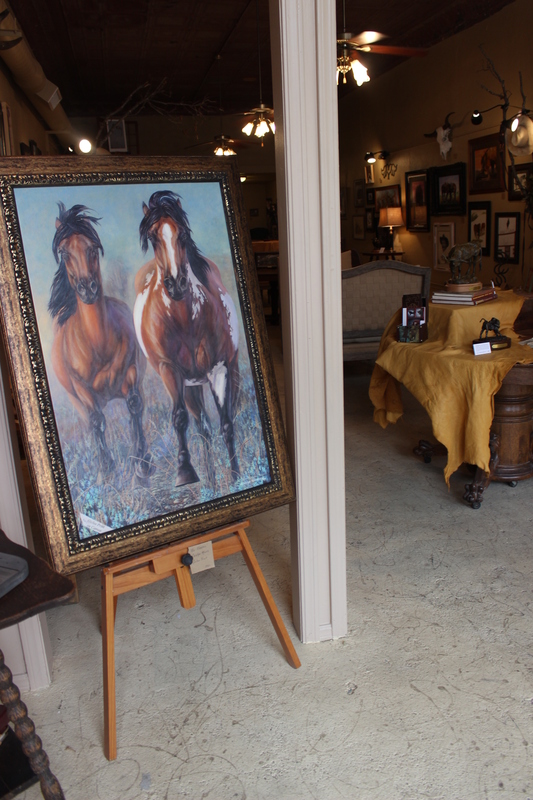 “If you want to buy a Carolyn Mock, other than from the artist herself, you have to buy it in Pawhuska. 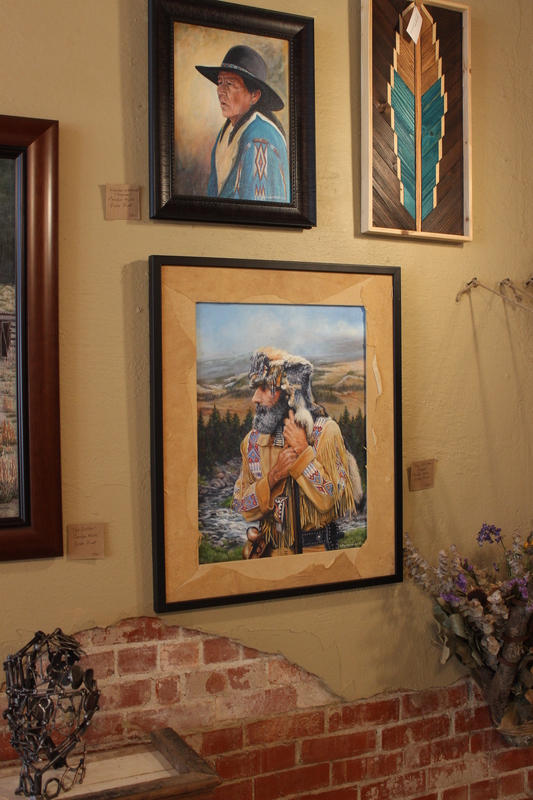 The artists are also in the process of forming an art guild in Pawhuska. “One of the things the artists have consistently told me is that they want to teach sculpture and painting. They want to teach other professionals, so we are putting together an art school for professionals…. Professional artists spend a lot of money going places learning to paint and sculpt. They stay in a town up to a week at a time, so the artists have decided that we need a school,” Carter explained. 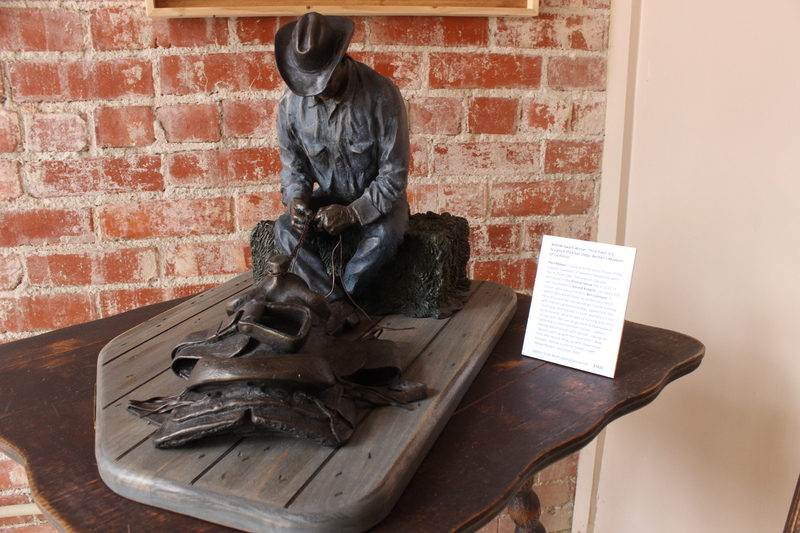 To that end, “the Oklahoma Sculpture Society will be coming to Pawhuska Oct. 19. Burneta Venosdel will be teaching a class to professional sculptors that day on the streets of downtown Pawhuska and at Liberty Ranch, a huge draw for Pawhuska, a huge draw for tourists. Carter cited several cities known for art as examples: Eureka Springs, Fredericksburgh Tx., Santa Fe and Red River. In addition to his own move to Pawhuska, at Carter’s suggestion, two of the artists whose work is represented in the Tallgrass Art Gallery hope to move to Pawhuska, so Pawhuska is on its way to becoming an artistic hub. Carter is sowing into Pawhuska by his presence and by his sponsorship of events. The Tallgrass Gallery plans to change the artwork exhibited monthly, have monthly receptions and establish “Women, Wine and Art” on the third Thursday of each month. In addition, Tallgrass Art Gallery is sponsoring a street dance on Kihekah Ave., ‘A Night in Ole Pawhuska’ on the evening of Oct. 3 after the Indian Taco Festival in Pawhuska. All donations and proceeds will benefit The Pawhuska Arts and Preservation group. There will be music by Jimmie Johnson, community art projects, artist’s demonstrations, gallery opening and the grand opening of the Tallgrass Art School. Carter is also planning a children’s art show in December in which there will be no prizes, but children’s artwork (8.5” by 11”) will be displayed and offered for sale at $25 each with the proceeds going toward arts and preservation. The Tallgrass Art Gallery is open 9 a.m. to 6 p.m. Tuesday through Saturday and 9 a.m. to 5 p.m. Sunday and by appointment. To learn more about the upcoming activities of Tallgrass Art Gallery visit their Facebook page, visit their website http://www.tallgrassgallery.net or call them at 580-304-8731. For information on classes and Tallgrass Art School, visit http://www.tallgrassartschool.com, Tallgrass Art School on Facebook or call Kenyon at 918-728-0804. ← What are Super Foods and do they Taste Good?